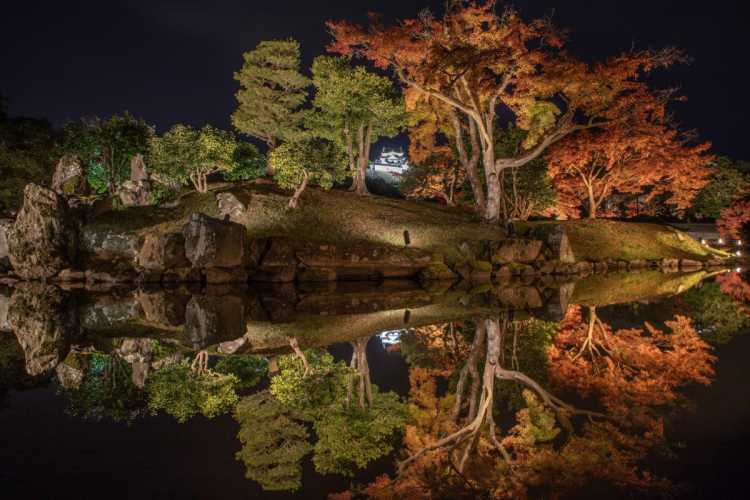 Genkyu-en is a Daimyo Garden (gardens built by the lords of each region of Japan in Edo Period) belonged to the old Hikone Clan. 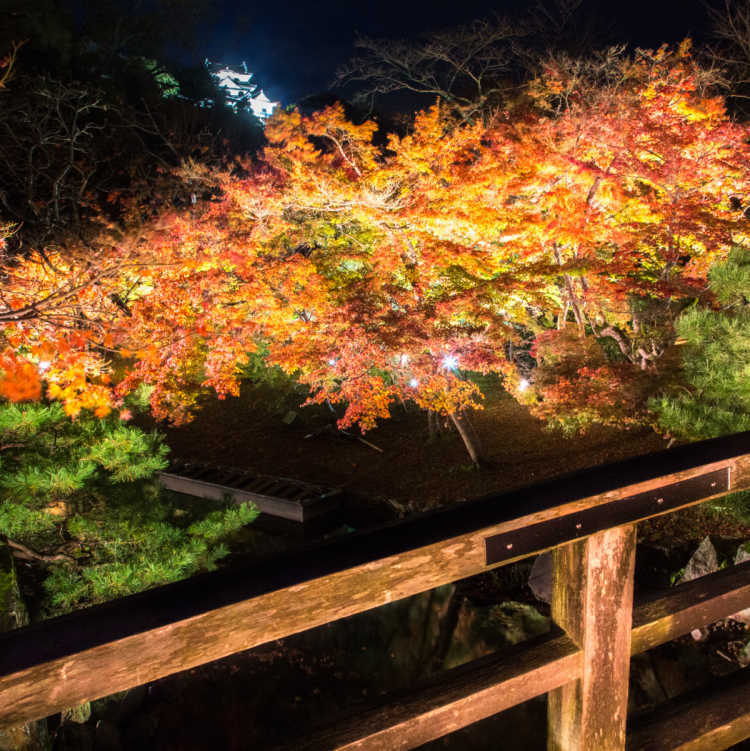 The scenery of lighted Japanese garden with Hikone Castle, one of the five castles of national treasure, was very fantastic and worth seeing so much.◎15 min walk from Hikone Station. The parking area is available, but the night is dark, so be careful when you park a car.